Heartburn doesn’t have anything to do with the heart, despite its name and the fact that its pain can be usually felt in the chest area near where the heart is. It’s actually a condition of the esophagus, wherein the valve called the lower esophageal sphincter isn’t able to do its usual job of keeping stomach acid inside the stomach. What happens is that the valve does not close tight enough or that it opens too fast and too often so that some of the stomach acid seeps through. This then results into that very familiar “burning” sensation in the chest. Most of the time, the condition is not serious, but it can be painful enough to be a nuisance in a person’s day-to-day life. There are lots of antacids and other anti-heartburn drugs on the market, but if you want to get rid of heartburn without medicine, here are some of the natural remedies you can try. Almonds are a yummy solution to heartburn. This wonder nut contains compounds that seem to neutralize the strong acids in the stomach, thereby preventing heartburn or alleviating the pain that comes with it. How to use: If you’re worrying about ingesting more saturated fat than what is necesary, don’t worry. You’ll only need to eat three to four almonds before every meal to fully realize their heartburn-preventing properties. Choose organic, unsalted almonds over those greasy salted ones, if you want a healthier option. For instantenous relief from the painful burning sensation in your chest brought about by heartburn, then a teaspoonful of sodium bicarbonate (or what we know in the vernacular as baking soda), will do the trick. Baking soda has a pH higher than 7.0, making it a base, which can neatralize the acidic juices of the stomach. How to use: In a glass of water, put in a teaspoon of baking soda and mix well. Take this baking soda solution as needed, but make sure not to exceed seven teaspoonfuls a day since it is high in sodium. Ginger is not only wonderfully aromatic and flavorful, it can also be used to prevent heartburn too! How to use: Skin a small piece of gingerroot and slice it into thin pieces. Place these ginger pieces into a pot with about two to three cups of water and simmer gently for three minutes. Drink the ginger tea before or during every meal. Eating mustard on its own without other condiments (or food to spread the mustard on), might be grimace-inducing for most people. But believe us when we say that this tangy condiment is also a very effective heartburn remedy. An apple does not only keep the doctor away, it can also keep the pain from heartburn away! This fruit is one the best foods that can get rid of heartburn naturally. The same goes with bananas, which have natural antacids that act as a buffer against acid reflux. How to use: Chop up these fruits and before every meal. You can also turn them into smoothies by mixing them with a little bit of milk and ice, then blending everything together. Why does chewing gum prevent acid reflux and heartburn? Does it contain any special compounds? Well, the answer here is no. The gum doesn’t actually do anything, but the act of chewing does. Chewing stimulates salivary glands, which then ramps up the production of saliva in the mouth. The extra saliva helps wash out the acid in the gut. How to use: Settle for sugarfree gum. Chew on one a few minutes after a meal to keep heartburn away. Some herbalists and traditional medicine specialists swear on the ability of fennel seeds, to ward off heartburn. How to use: Take two teaspoons of fennel seeds and add it to a cup of boiling water. Let everything steep for ten to 15 minutes, then drink up. Now, aloe vera is often used as a cure for burns and other skin irritation- but did you know it can also help soothe your stomach as well? This plant’s anti-inflammation properties seem to have a calming effect on the tummy. How to use: Aloe vera juice is readily available in health shops and most supermarkets. Drink half a cup of it before each meal. Adding acid to an acidic stomach might sound counterintuitive to most people, but hear us out first. There’s a chance that acid reflux might be caused by not having enough acid in the stomach. Acid is responsible for telling the lower esophageal sphincter to close up- if there’s not enough acid, this muscular valve might loosen up a little. How to use: Stir in a tablespoon of raw apple cidder vinegar into five to eight ounces of water. Drink twice or thrice a day. You can also drink this solution before bedtimes. Well, as a popular relaxing tea, it seems obvious that chamomile also has a calming effect on the stomach. How to use: Drink a cup of chamomile tea (you can use store-bought tea or make one of your own using chamomile flower petals) two or three times a day. As they say, prevention is better than cure. There are certain foods that trigger heartburn- and these differ from person to person. If you find that eating a certain food causes you to have heartburn or acid reflux, then stay away from these as much as possible (or you can take medication or these remedies beforehand to ward heartburn away). Also, most doctors note that people who are relatively healthy are more immune to heartburn than people who do unhealthy lifestyle choices. Maintain a healthy weight, avoid smoking and binge drinking, and you lessen your chances of suffering from acid reflux and heartburn. 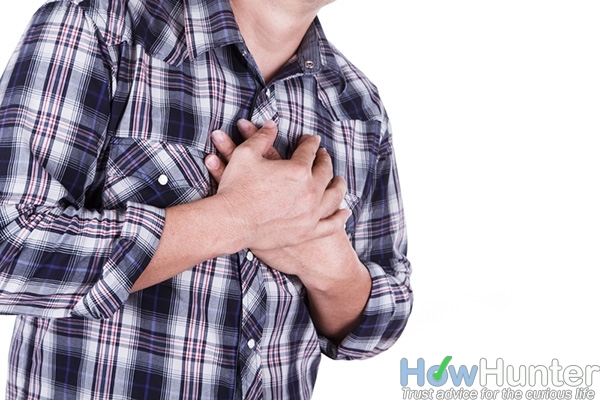 If you find yourself suffering from heartburn for a prolonged period of time, then consult a doctor immediately.